Вече всеки сигурно е чул за бъга в openssl наречен „Heartbleed bug“ – или пробив в SSL сигурността, която позволява на „хакера“ да вижда потребителските имена или паролите в чист текст, които иначе трябва да са криптирани в реално време. През сайта http://filippo.io/Heartbleed/ може да се провери сигурността на даден сайт, изпозващ SSL сертификат, дали е засегнат от Heartbleed bug. В реализацията на OpenSSL версии 1.0.1 и 1.0.2-beta, включително 1.0.1f и 1.0.2-beta1, е открит проблем в сигурността който позволява на отдалечен потребител да прочете информация от оперативната памет на порции от 64К. Ако ползвате някоя от засегнатите версии се препоръчва да обновите възможно най-скоро до нова версия. Проблемът е от повече от две години и е открит наскоро от специалисти по сигурността в Google. Twitter No Yes Unclear Twitter wrote that OpenSSL „is widely used across the internet and at Twitter. We were able to determine that [our] servers were not affected by this vulnerability. We are continuing to monitor the situation.“ While reiterating that they were unaffected, Twitter told Mashable that they did apply a patch. Google Yes Yes Yes* “We have assessed the SSL vulnerability and applied patches to key Google services.” Search, Gmail, YouTube, Wallet, Play, Apps and App Engine were affected; Google Chrome and Chrome OS were not. *Google said users do not need to change their passwords, but because of the previous vulnerability, better safe than sorry. Yahoo Yes Yes Yes „As soon as we became aware of the issue, we began working to fix it… and we are working to implement the fix across the rest of our sites right now.“ Yahoo Homepage, Yahoo Search, Yahoo Mail, Yahoo Finance, Yahoo Sports, Yahoo Food, Yahoo Tech, Flickr and Tumblr were patched. More patches to come, Yahoo says. Gmail Yes Yes Yes* “We have assessed the SSL vulnerability and applied patches to key Google services.”*Google said users do not need to change their passwords, but because of the previous vulnerability, better safe than sorry. Amazon Web Services (for website operators) Yes Yes Yes Most services were unaffected or Amazon was already able to apply mitigations (see advisory note here). Elastic Load Balancing, Amazon EC2, Amazon Linux AMI, Red Hat Enterprise Linux, Ubuntu, AWS OpsWorks, AWS Elastic Beanstalk and Amazon CloudFront were patched. Etsy Yes* Yes Yes Etsy said that only a small part of its infrastructure was vulnerable, and they have patched it. SoundCloud Yes Yes Yes SoundCloud emphasized that there were no indications of any foul play and that the company’s actions were simply precautionary. YouTube Yes Yes Yes* “We have assessed the SSL vulnerability and applied patches to key Google services.”*Google said users do not need to change their passwords, but because of the previous vulnerability, better safe than sorry. 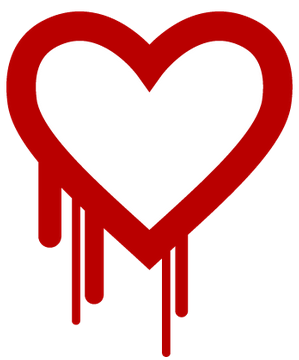 Intuit (TurboTax) No No No Turbotax wrote that „engineers have verified TurboTax is not affected by Heartbleed.“ The company has issued new certificates anyway, and said it’s not „proactively advising“ users to change their passwords. IFTTT Yes Yes Yes IFTTT emailed all its users and logged them out, prompting them to change their password on the site. 1Password No No No 1Password said in a blog post that its technology „is not built upon SSL/TLS in general, and not upon OpenSSL in particular.“ So users don’t need to change their master password. LastPass Yes Yes No „Though LastPass employs OpenSSL, we have multiple layers of encryption to protect our users and never have access to those encryption keys.“ Users don’t need to change their master passwords because they’re never sent to the server. But passwords for other sites stored in LastPass might need to be changed.